Chevrolet dealers are discounting the Bolt battery-electric vehicle by as much as $9,500. Our take on these amazing deals. Chevrolet dealers in electric vehicle target states, called ZEV states, like Massachusetts and Rhode Island, are heavily discounting 2019 Bolt battery-electric vehicles (BEV). The discounts for March were almost at $10,000 before incentives. We scanned prices for the new Chevy Bolt BEV at the DriveGreen website. DriveGreen is a place at which dealers list their deals on available electric vehicles to make it easy for shoppers to find what suits them best. The site has battery-electric vehicles like the Tesla Model 3, plug-in hybrid electric vehicles (PHEVs) like the Honda Clarity, and extended range electric vehicles (EREVs) like the Chevy Volt and BMW i3 in its listings. The site is very handy because it breaks down for the buyer all of the available discounts and incentives being offered by dealers, the federal government, and state government. 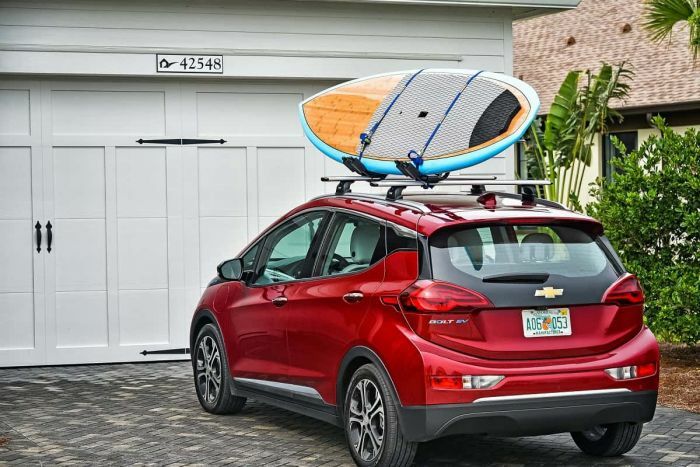 The net result of the discounting is that a new 2019 Chevy Bolt LT will cost a buyer $18,995. Other dealers have discounts off of the new price of a Bolt LT of $8,496, $8,069, and $7,945. Fully-loaded Bolt are also discounted by similar amounts and have new vehicle prices after incentives of $23,280. Why are dealers discounting electric vehicles so heavily? One reason is the Tesla Model 3. Tesla has brought a performance/luxury vehicle to market with huge success and is now offering bare-bones trims with prices as low as $36,200 - at least in theory. Tesla hasn't actually delivered any yet at that price point. Tesla is now also discounting new Model 3 cars. We were offered $2,330 off of the price of a new-never driven, never displayed Model 3 Long Range, AWD, in Blue by Tesla's Dedham Mass location (dealership) Friday. The battery electric marketplace is heating up and competition is now fierce. Every automaker is making deals to move the inventory they can and post up the best results possible. We are testing the new Kia Niro BEV this week. We recently tested the new Nissan Leaf. Hyundai is introducing its new Kona BEV and other automakers have affordable BEVs headed to market as well. The race for the bottom of the market is on.